Would you like to be added to the Pirates Press Records email list? **NOTE: We will only be tallying one vote per email address. Punk has never been a stranger to tackling controversial issues. On the contrary. For more than 40 years, punk has shown time and time again to be a LOUD voice of reason and unity in a chaotic, irrational and often devastating reality. True to their punk roots, NOi!SE tackles these issues head-on, and more specifically here with the issue of gun violence and school shootings, in a very powerful, non-political way. 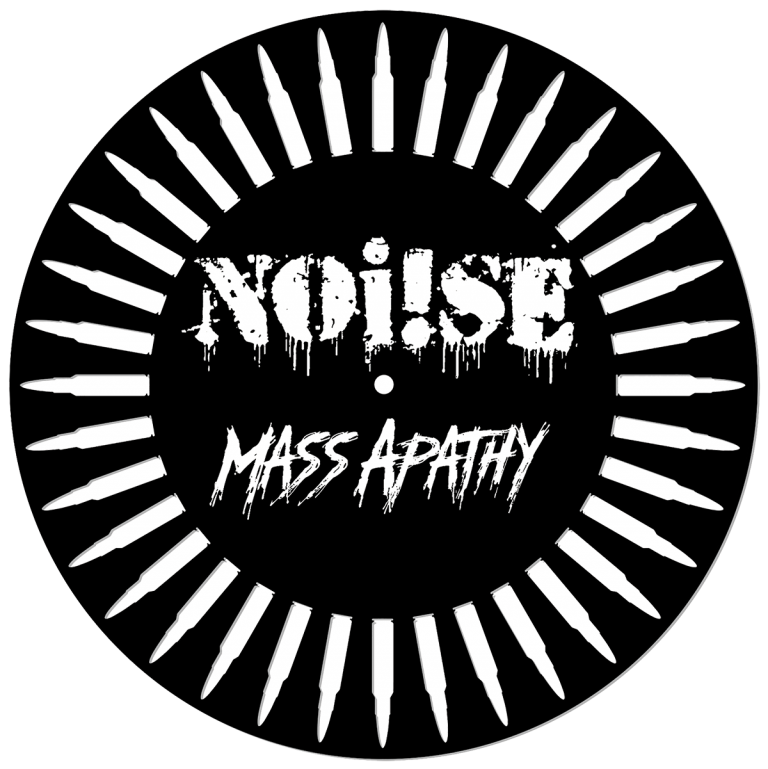 In response to the recent barrage of public shootings, especially those involving school children, NOi!SE and Pirates Press Records will donate all proceeds from this release to several charities. In the true spirit of this band, and to make sure no voice is unheard, fans will have the opportunity to vote on the charities which will receive donations on behalf of NOi!SE and Pirates Press Records. The record itself has a ring of bullets milled out, and the audio cut at 45 RPM inside that ring. The B-side and the clear poly sleeve are both silkscreened to really bring it all over the top and present a piece of art that will really blow some minds! If the music industry takes note of the way that releases like this can generate impressive (both social & financial) support in today’s vinyl collectors market, we’ll see a lot more mainstream artists and labels knocking out creative and innovative projects like this to benefit good causes on Record Store Day. ** NOTE: The charity of choice must be a registered 501(c)(3), dedicated to making children’s lives safer, Ideally tied into the current issue of gun violence at schools in America. A single winner will not be chosen, as the votes will be tallied and the accumulated profit on the whole project will split up and be donated in the percentages of the highest five vote getters. The five winning charities will be announced on December 7th. Pirates Press Records and Noi!se do not specifically endorse any particular charity and will not be promoting one charity over another. This program has been set up to allow fans and supporters of this project to independently decide where the money will be allocated.